The aFe Axle Back Exhaust System features smooth curves, and an increase in size to help remove restrictions, and keep exhaust gasses flowing smoothly. The aFe Axle Back Exhaust System has race heritage, with its astounding light weight at only 21 lbs, 15 lbs lighter than stock, and 3" mandrel-bent tubing will keep your car pulling through every gear. The aFe Axle Back Exhaust System will give a one of a kind deep rumble that will tell people you mean business. 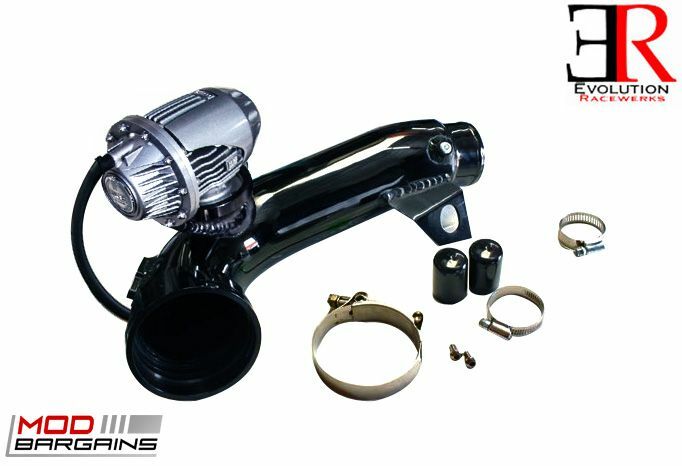 This system greatly reduces back pressure, giving you dyno proven gains in horsepower and torque. With its OE style flanges and hangers there is no need to modify, it is a straight bolt in product. 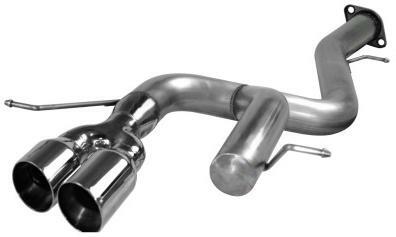 "I just got this afe exhaust for my 2008 135i and I love it! definitely the best exhaust for the 135i. I shopped around for 3 months and I am very glad I decided to go with the afe. I would definitely suggest it to everyone! two thumbs up!!" George S.
Bayonet Hangers: Swaged bayonet ends lock your exhaust components into place for the most secure installation possible. Other manufacturers use less expensive bent hangers that allow tubes and parts to slide from side to side, causing premature wear and damage. Welded-on hangers: Every hanger is welded on each side to ensure a stronger connection, compared to the other manufacturers who use only inferior floating hangers. Band Style Clamps: Premium quality band clamps are used on critical joints to provide the tightest, leak-free seal possible. Other systems use common less expensive U-bolt clamps. Mandrel Bent: All aFe tubing is mandrel-bent. Mandrel bending ensures the tubing maintains its shape and size, providing smooth, unrestrictive airflow. Standard tubing can lose as much as 20% of its diameter in sharp bends. The aFe 135i performance exhaust uses SWAT (Sound Wave Altering Technology) to eliminate drone associated with many of today's aggressive performance exhaust systems. One of the great things about a turbocharged car, especially one with two small turbos, is the amount of sound deadening produced by the turbochargers. Since a majority of sound is deadened before entering the exhaust system, there is less of a need for multiple mufflers and resonators to deaden sound before existing the exhaust tips. 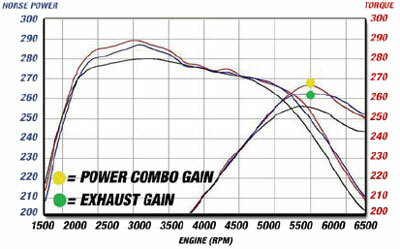 For this reason, aFe decided the best, free flowing design for the 135i was no muffler at all! The system incorporates a tuned resonance chamber that traps and eliminate high pitch sound waves and passenger compartment drones associated with aggressive aftermarket exhaust systems leaving only the deep mellow and free flowing exhaust pulses - All the good sounds, none of the bad! An additional benefit to a lack of muffler is a lack of weight. The aFe system is 15 lbs lighter than the factory exhaust. Less weight is always better! 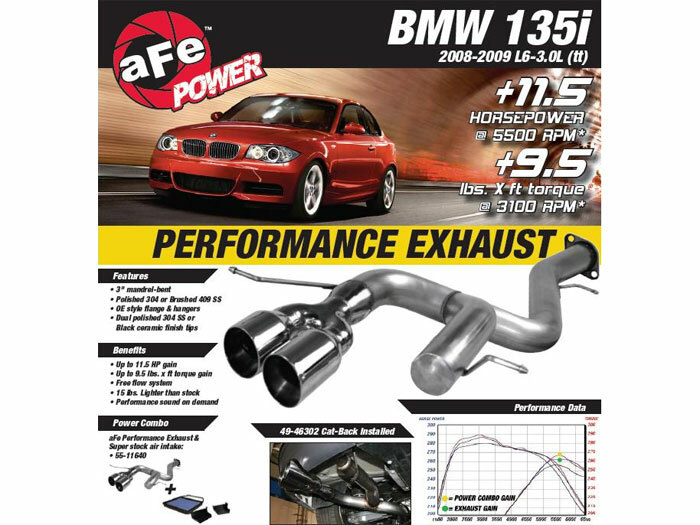 Turbocharged engines need much less backpressure than a normal naturally aspirated engine, therefore, aFe designed the 135i system to be "invisible" to the engine by incorporating 3" diameter stainless mandrel bent tubing. The system is offered in 2 material options, 409 and 304 stainless. The 409 stainless steel is is a widely used material for exhaust systems due to its resistance to rust and corrosion, but its surface will discolor to a light brown over time and is not suggested for aesthetic purposes. The 304 stainless steel is used to resist any type of surface corrosion and keep its polished look for a extended amount of time. Therefore, 304 stainless costs more but keeps its polished look considerably longer than 409 stainless. There are 2 tip options for the 135i exhaust dual tip outlet: polished for a performance look or ceramic coated black for a subtle OE look. 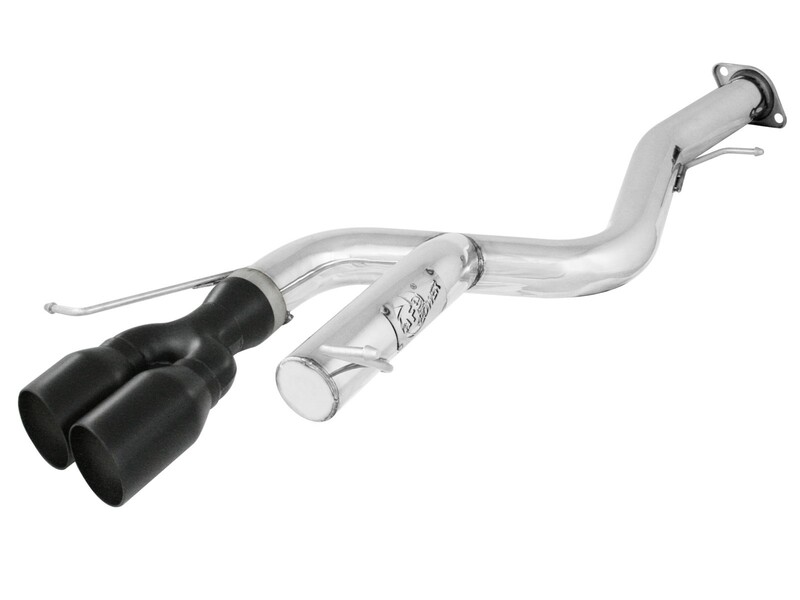 The 304 stainless steel exhaust is only offered with a polished tip for a 100% polished system. System incorporates OE style flange and hangers for a direct fit - no welding required! This is a great product. The install was super easy and very fast. The sound is perfect; not to loud, but not to quite. I do recommend getting the product coated prior to install, especially if you live in areas where salt is put on the roads. Overall it is another great AFE product. The aFe UNLIMITED MILE WARRANTY insure against defects in materials and workmanship. For stainless steel systems, this is a 2-year unlimited mile warranty, effective from the date of purchase from an authorized aFe dealer. aFe warranties are nontransferable when ownership of the product vehicle on which it was installed is sold. This warranty is intended to cover aFe products when they are used in the manner for which they were originally designed. aFe will not be responsible when products are subjected to abuse: such as ground impact, improper installation, misapplication, modification or neglect as well as any injury expenses arising directly or indirectly from use of aFe components.aFe excludes incidental and consequential damages including loss of time, inconvenience, and/or loss of use of the vehicle. aFe also excludes any breach of any express or implied warranty, including the implied warranty of merchantability applicable to the product.